The past few weeks I’ve been making an effort to make healthier eating choices. Big G and I have our birthdays coming up in just a few weeks (yes, our birthdays are just three days apart) and it’s a reminder that we aren’t getting any younger. We’ve also had our fair share of kids birthdays recently, and with that comes cake, ice cream, cupcakes and a slew of far too many sugary treats. This time of year is when I’m over it and on the lookout for new ways to eat better. My husband has an extensive family history of diabetes, and there’s a bit on my side as well. Every year he talks to his doctor about diabetes testing, since it is all over his family there’s a big chance he could be more prone to it. In addition to that, the man loves his sweets and candy. 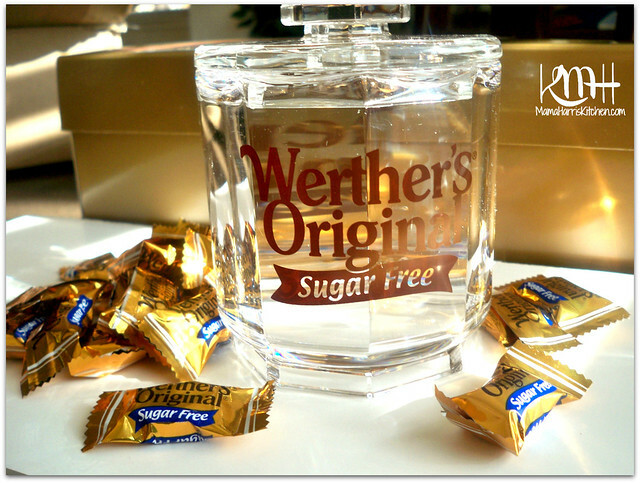 When the opportunity came to try out some Werther’s Sugar Free Candy, I was all in! I want to eat better and be healthier in general, my guy may be predisposed to diabetes, we also have a lot of kids and as we all know dental bills can be no joke! So if I could find a great candy that’s sugar free too, I think it’s complete win for everyone in our house! The whole family was so excited when the shipment came. Talk about gorgeous packaging too! We were all ready to tear into it and try everything! Inside were these beauties. 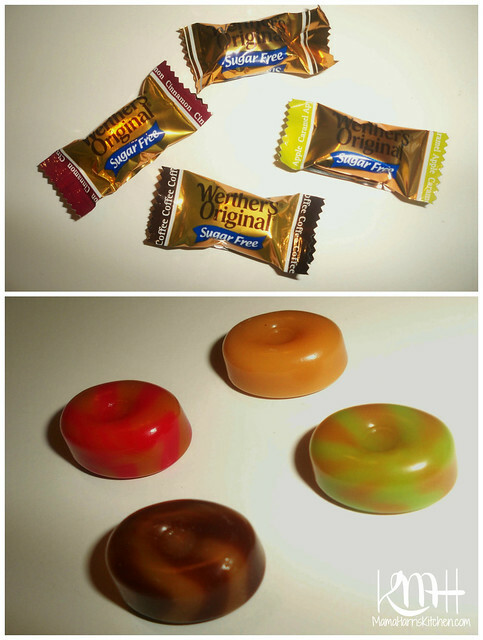 Did you even know that Werther’s came in additional flavors? I had no idea! 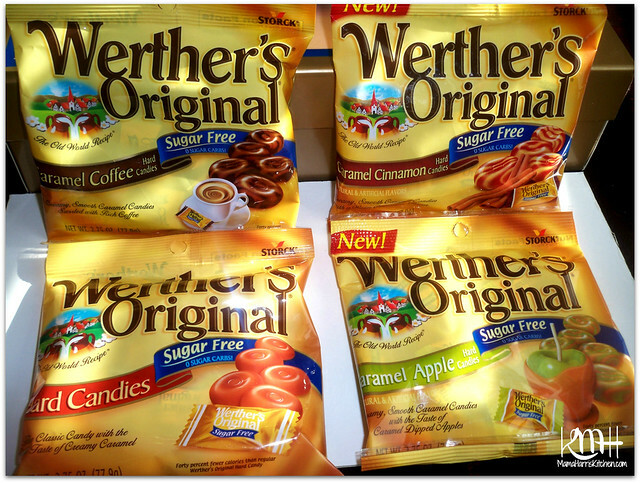 I’ve been familiar with Werther’s for as long as I can remember, but I always thought it was just caramel flavored candies (which has always been a favorite flavor) so I was pleased and curious to try these others. 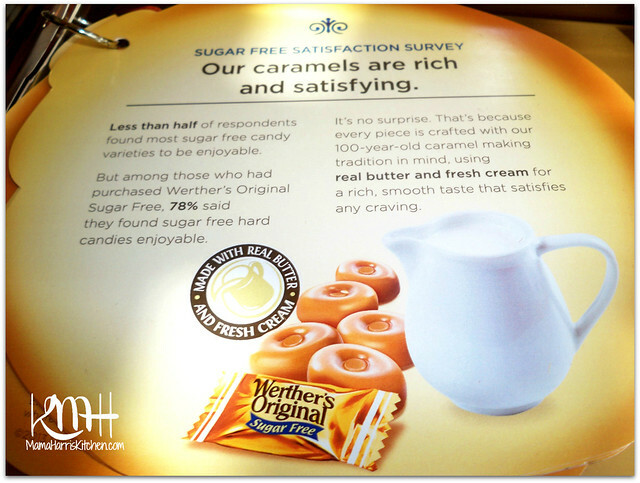 There was also an informative flip chart included that showed a lot of information about Werther’s Sugar Free Candies. They are made with real butter and cream to ensure a rich decadent taste with no sugar! Can you believe it? Each of these candies carry only 8 calories and 3 carbs per treat. You get to satisfy your sweet tooth without the guilt, what’s better than that? I did want to be sure to give each flavor a thorough taste test, and share the results with you all. The original flavor tastes just as smooth and creamy as it’s original version that includes the sugar. I noticed no taste difference at all from what I’ve grown up with, and there is no weird aftertaste that you typically have with the sugar free stuff. The caramel apple was delicious! You get the apple taste, but it’s not too overpowering and you still get the smooth velvety caramel taste with it. It tastes a lot like a caramel apple, but again, without the guilt! If you know me, you know that I’m a total coffee nut. I was excited to try the caramel coffee flavor and it definitely held up to what I was hoping it would. It tastes like caramel coffee, which is one of my favorite go-to coffee flavors. The coffee taste is rich, but not overpowering, and the caramel smooths it out. I was a bit unsure about the caramel cinnamon. I’m not a huge fan of cinnamon candies, but I tried it and surprisingly liked it! It did have that hot cinnamon taste, but the caramel smoothed it out and I actually enjoyed it. Surprise! All in all, I enjoyed each of the flavors and so did my kids! Also included was this adorable little candy jar. It’s very pretty, and as good as these candies are I wonder if we are going to have a problem keeping it full? Thankfully they sent plenty of coupons too, so I can restock easily when needed! 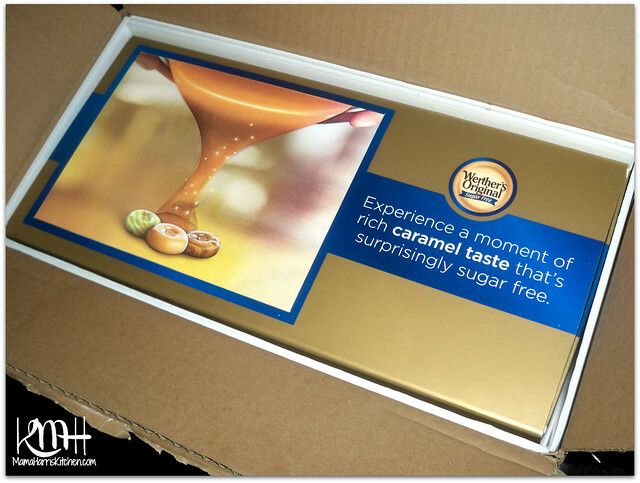 I was very pleased with all of the products and will definitely be keeping these candies on hand when I want a little extra sweet treat. 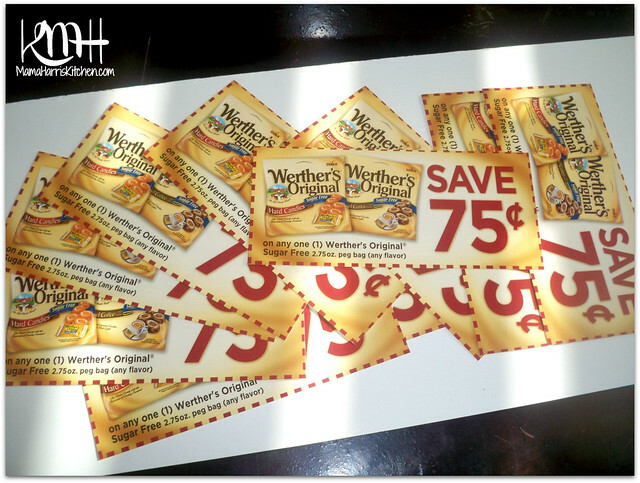 You can also go to the Werther’s Facebook Page where you can learn more about their products and claim your own coupon for $1.00 off. There’s even a fun game where you can guess how many candies are in the candy jar. Go check it out! Previous Post: « Think Outside the Blog – Weekly Blog Hop – Week 25! these are some of my fav hand candies! Love that they are low in calories def. satisfies a sweet tooth! They are so good! We’ve been snacking with them so much! These candies are sooooo good. I buy them from time to time when I want something sweet and don’t want the calories or sugar. You can’t tell at all, I was so surprised!